"Veggielicious" top for women. 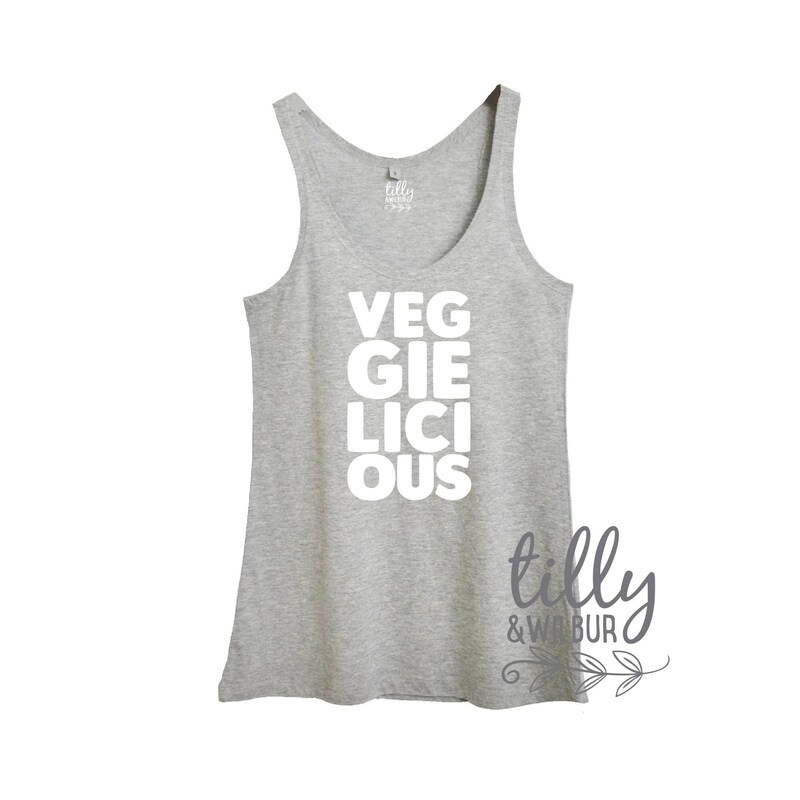 You will feel deliciously veggielicious when you're wearing this! Made from gorgeous soft grey organic cotton in a really flattering cut.